At Blessingways Chiropractic, our goal is to be your family chiropractic center. We want to help your family achieve optimal health and wellness. Feel BETTER, Move BETTER and Live BETTER! As humans, we express ourselves through the movements of our bodies. As professionals, if we can help you feel better and move better, your life will ultimately be better... and we will have done our job. Whether you are in pain, you are pregnant or you have concerns about your children, we are a family clinic - and we are committed to helping you and your family members improve your health so that you can participate in your lives more! 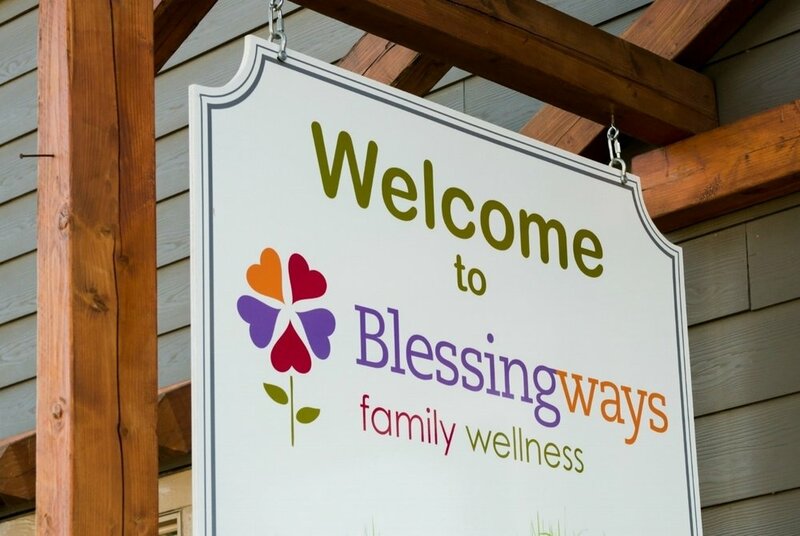 Happy, healthy families, ultimately change our community for the better so, in a way, we could say that we change the world every day at Blessingways. We welcome you to our Blessingways family - we are honoured to help you and the people you love. If you have any questions, or if we can be of service in any way, please let us know. We are happy to help! We are a group of caring professionals who are here to help our patients have the best lives possible. We work together as a team to ensure that you receive the best care possible. Besides chiropractic, we offer massage therapy, craniosacral therapy, and reflexology services. Our blog is a collection of articles about health and wellness that concerns all members of your family. Our goal is to help you learn how you and your loved ones can improve your health. We will listen to your concerns and take them seriously. We will explain our treatments so that you understand what we do. We will give you options and respect your right to choose what is best for you. If we do not know the answer, we will tell you. If we are not the answer to your problems, we will help you to find the professional who is. We will honor your right to a second opinion. Becoming knowledgeable about your body and how it works. If you have questions, please ask! Learning as much as possible about your health problem(s) in order to make informed choices. Following our recommendations for care such as home stretching and strengthening exercises, posture exercises, supplementation and application of cold and/or heat. Making better food choices, drinking quality filtered water (and lots of it), moving your body regularly and relaxing on a daily basis.